The Deep in Hull celebrates as it welcomes a baby Zebra Shark to the world! The Deep welcomes a baby Zebra Shark to the world! A baby Zebra shark has hatched from an egg laid by The Deep’s female Zebra shark. A number of eggs have been developing behind the scenes for the last 6 months. She is the first baby to hatch out and we are hopeful more will follow soon. Just like humans sometimes the juvenile passes it’s expected ‘due’ or ‘hatch’ date and to ensure the pup is safe and doesn’t run out of food we help them hatch by opening up the egg case. 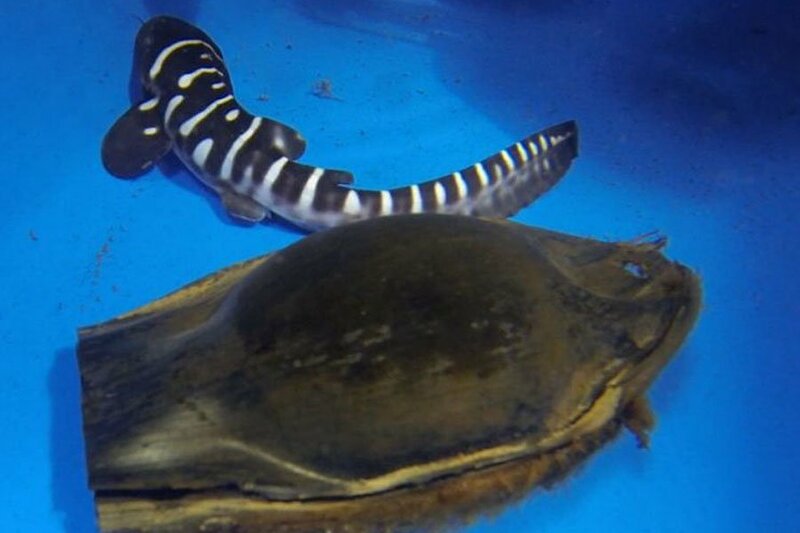 Newly hatched Zebra shark pups are black in colour with white stripes hence their name, as they grow their pattern and colour changes leaving the adults with a yellow and brown leopard print pattern.